This is a house located in Huainan city, China. 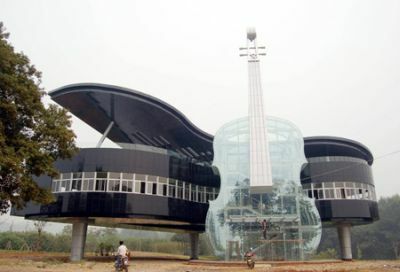 This house has that unique style and can be an ideal place for a musician to rest at. 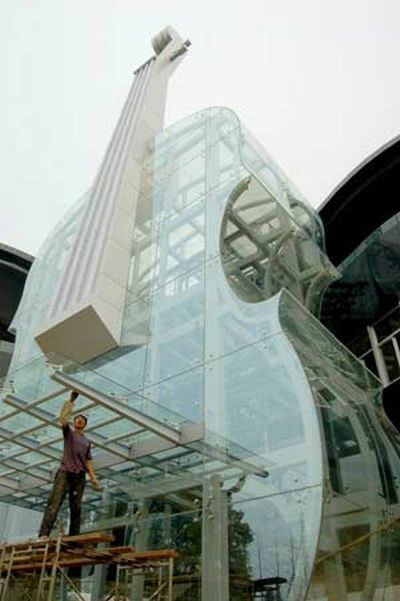 The house is primarily made of glass and aluminum what amazes me is the violin shaped structure with a staircase in it. We might see people saying ‘whoa’ when they look at this and that’s why it’s a creative marvel. ← The Ceramic Phonofone – A What?